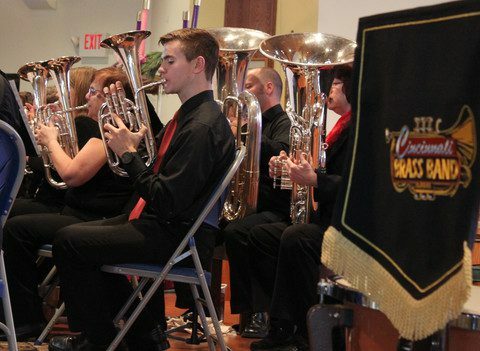 Glenmary’s annual Christmas concert draws hundreds of supporters and well-wishers to St. John Neumann parish each year to listen to the Cincinnati Brass Band, and 2018 was no exception. 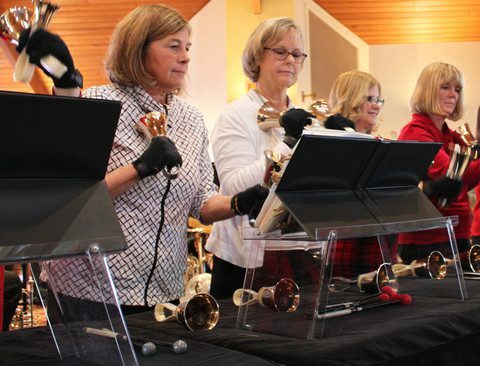 This year’s concert also featured the Blessings Bell Choir. 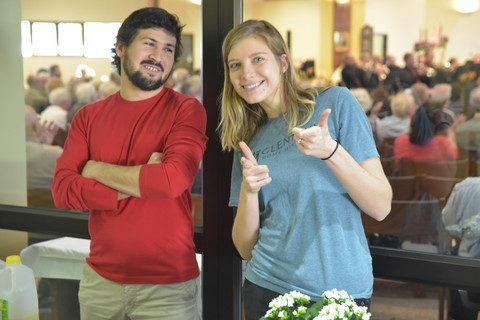 The concert is more about celebrating the birth of Christ through song than it is about fundraising, but donations received will go to support Glenmary’s 10 missions and related ministries throughout Appalachia and the South. 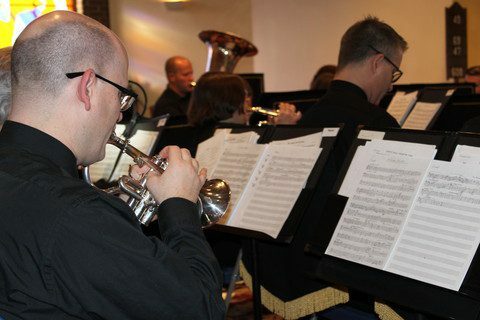 Guests were treated to music, refreshments, and fellowship. 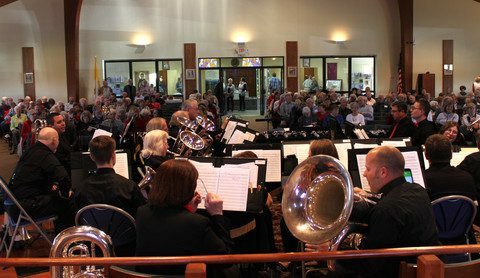 The idea started almost a decade ago when Planned Giving Officer Susan Lambert saw a notice for a Christmas concert at a local Church. “I love music, and it sounded good, so I went,” she recalls. “It was wonderful!” That got her idea wheels turning. 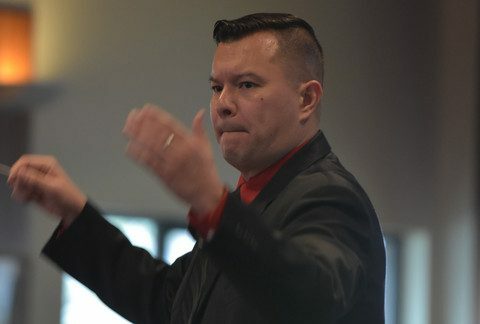 Wouldn’t it be great if Glenmary could sponsor such a show? 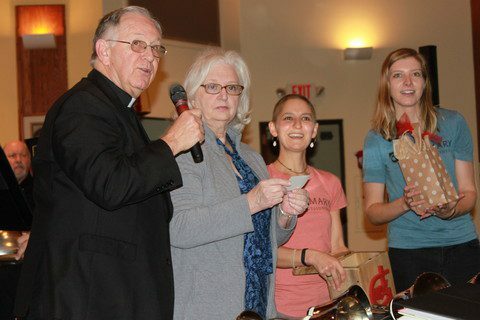 She and Glenmary Father Dominic Duggins made it happen so that by the next Christmas there was one. 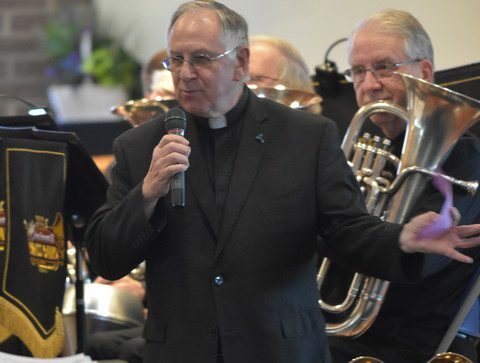 Glenmary president Father Chet Artysiewicz recognized Susan at this year’s concert for her contribution to starting the concert. She is retiring this year after more than 40 years of service to the Home Missioners of America. 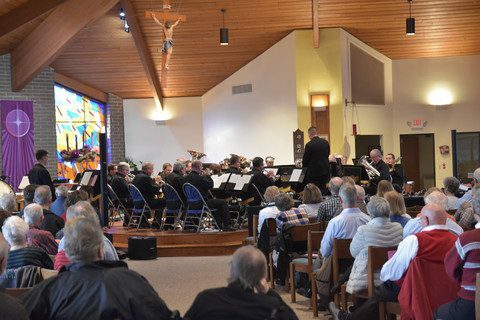 Glenmary thanks all who attended the 2018 concert!